The iconic C.J. Olson Cherries stand near the corner of El Camino Real and S. Mathilda Avenue in Sunnyvale is set to close at the end of the month. Owner Deborah Olson, who was born during cherry season and worked side-by-side with her grandmother, Rose, at the stand until her grandmother’s death in 1988, said the decision had to do with timing and her readiness to semi-retire. Although the Sunnyvale store will close, it isn’t the last time Olson Cherries’ fans will have the opportunity to purchase some of their favorite items. Olson said the company will transition from retail to wholesale and the stand’s key items — dried Blenheim apricots, chocolate-covered apricots, chocolate-covered cherries and cherry nut trail mix — will be available at scaled down locations at the San Jose and Oakland airports as well as Zanotto’s, DeMartini Orchard in Los Altos and other independent supermarkets. Olson said she hopes the transition from retail to wholesale will occur quickly, although a variety of factors and details still need to be ironed out. And, while the conversion is occurring at the right time for Olson, she said she is grateful for the customers and employees who made it possible for her to continue her grandparents’ legacy as long as she did. Part of that connection is the building itself. 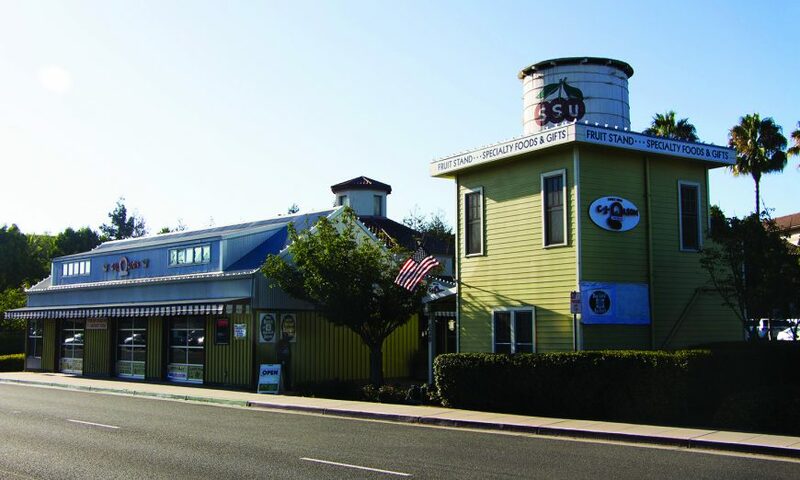 Olson worked with an architect to design an open rectangular building with a water tower feature, indicative of a roadside fruit stand, on Jun. 1, 2001. The current stand was erected at the same site of the original C.J. Olson Cherries, which was constructed by her grandfather in 1932. Even though she has no knowledge of the type of business that may lease the location, Olson said she recently learned the property leasing agent, Irvine Company, has no plans to demolish the building. “When the C.J. Olson Cherries stand morphs into another business entity,” said Olson, “the structure remaining will give them a sense of community and a sense of place and remembrance of what we were and what we did and all the fun times we had, including the Cherry Festival and having great cherries and fruit. It was just a nice time. 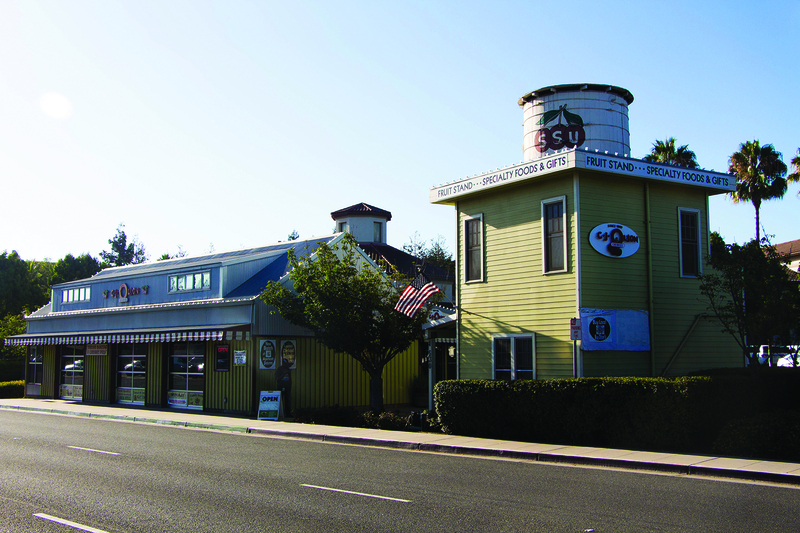 A Farwell Celebration will be held by the Sunnyvale Silicon Valley Chamber of Commerce on Sept. 27 from 5-7 p.m. at the stand. They ask attendees to RSVP by emailing kassandra@svcoc.org or calling 408-736-4971. C.J. Olson Cherries is at 348 W. El Camino Real in Sunnyvale and will be open daily until Sept. 30. 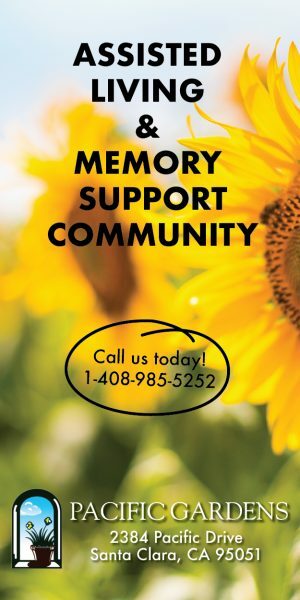 Call (408) 736-3726 or visit cjolsoncherries.com for more information.